The 2018 Alfa Romeo Giulia is among the famous luxury cars and it is considered as a “Meaningful Beauty” by Alfa Romeo. It is available in the UAE with its three trim levels that include Base, Super, and Veloce. Alfa Romeo fitted the Giulia with a V4 engine that delivers a thrilling driving experience and impressive technologies offer various driving modes for a memorable trip. It is among the luxury cars and it is equipped with cutting-edge safety and technological features that offer a secure and enjoyable journey to its occupants. This vehicle has a stylish look and a blending iconic Italian design that appeals people. Here is the review of the 2018 Alfa Romeo Giulia, a premium compact sedan with a Rear-Wheel Drive System. The design of this vehicle is fabulous as it has an astonishing exterior and an amazing interior. It is available in the UAE in 10 exterior colors and 4 interior colors. 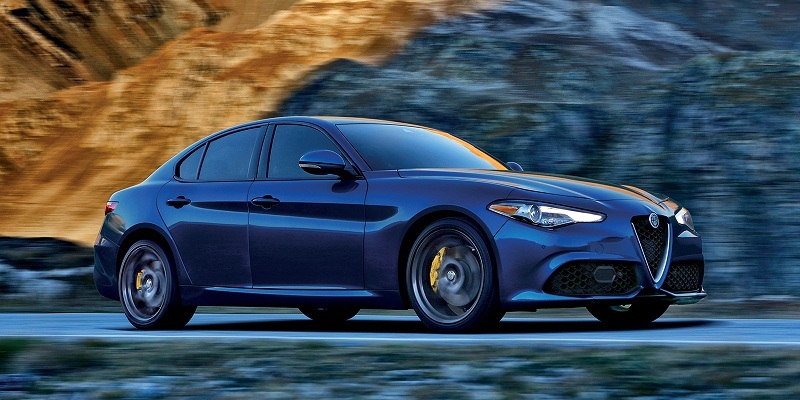 The 2018 Alfa Romeo Giulia is among the brand new luxury cars that have a magnificent design. The structure of this vehicle is made of ultra-light materials along with carbon fiber, aluminum and high-strength composite materials that make this vehicle lighter and enhance its performance. The designers at Alfa Romeo made an effort to provide the vehicle a muscular design that enhances its exterior appeal and provides it an aerodynamic look. 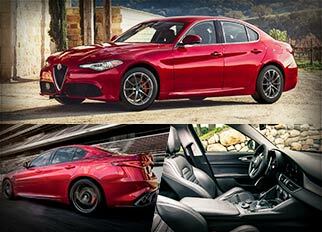 The Alfa Rome Giulia boasts a modern-day appeal but holds true to its roots at the same time. Alfa Romeo called the 2018 Giulia a result of 106 years of hard work to create a masterpiece that brings the best of both world in terms of delivering high-performance and exquisite looks. It has a ‘V’ shaped grille and muscular lines that are a clear indication of its power and might. The windows of this luxurious vehicle are equipped with light tinted glass that saves the occupants by reducing the direct rays of sunlight. On the other hand, the windshield is equipped with automatic rain sensing wipers that automatically detect the rain from the windshield and start functioning. 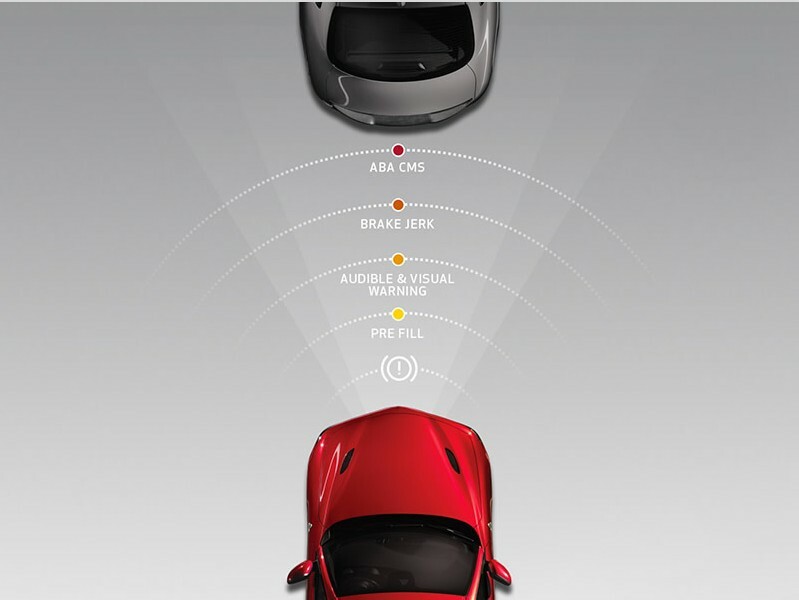 This system helps the driver to keep focus on driving during rain. Alfa Romeo fitted this masterpiece with Bi-Xenon projector headlamps featuring LED daytime running lamps, LED illuminated rear fog lamps and tail lamps that provide the vehicle an aggressive yet catchy look. Alfa Romeo fitted 5-spoke 17-inches aluminum alloy wheels in its latest model of Giulia 2018. The run-flat all season performance tyres are fitted with this luxurious vehicle that provides it a strong grip on the road along with a comfortable journey. 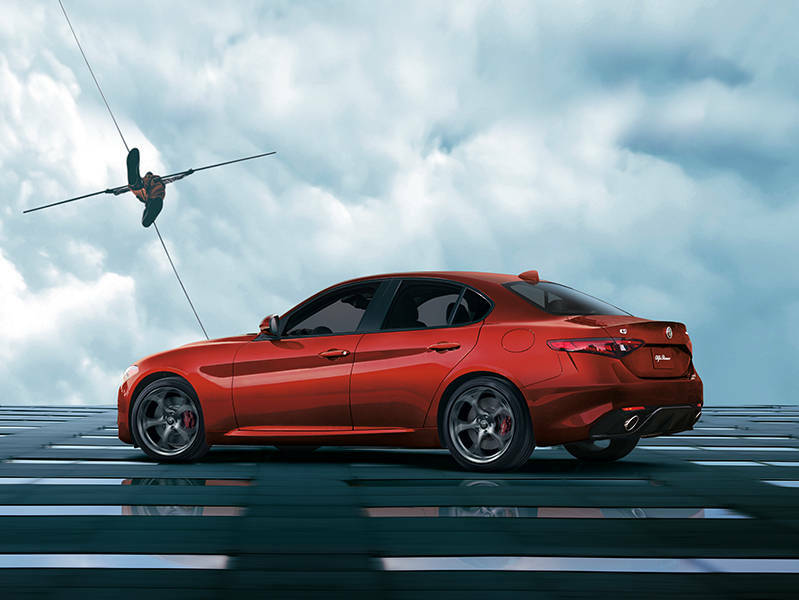 The 2018 Alfa Romeo Giulia is equipped with dual chrome exhaust tips that enhance the performance of the vehicle. Alfa Romeo is considered to be the best luxury brand car as the brand gives attention to every possible detail while designing the interior to provide best comfort and luxury to the occupants. The seats of this vehicle are superbly wrapped with an outclass leather that helps the occupants to get relax and have a comfortable journey. On the other hand, the seats of its sports version are smartly wrapped with Pieno Fiore leather that makes the look of the interior sensually elegant. The best features of this vehicle include its surfaces in real wood, brushed aluminum and technical fabrics that make this vehicle simply fabulous. A three-spoke steering wheel is smartly covered with leather that provides the driver a strong grip on it. It is also features a black push-button start, Cruise Control System and Audio Control System that help the driver to easily manage the various functions of the vehicle while having a drive. The 2018 Alfa Romeo Giulia is equipped with an Alfa DNA (Dynamic, Natural and Advanced Efficiency) drive mode selector that allows the driver to select the driving mode through this function easily. It is equipped with a passive entry with keyless enter and go feature that helps the driver to lock and unlock the vehicle by using a remote. The other best feature of this vehicle is its universal garage door opener that helps the driver to easily park the vehicle in the garage without any disturbance. Alfa Romeo is the best luxury brand car as they always produce the amazing vehicles that deliver a thrilling performance. Their new vehicle is 2018 Alfa Romeo Giulia and it is equipped with a 2.0-litre All-Aluminum turbocharged 4-cylinder engine that is able to produce 280 horsepower and 306 lb-ft of torque. It has 8-speed automatic transmission and the top speed of this vehicle is 149mph. The fuel tank capacity of this vehicle is approximately 15.3 gallon while the estimated fuel efficiency of this luxurious sedan is 24mpg in the city, 33mpg on the highway and its combined estimated fuel efficiency is 27mpg. It is a high-performance speed machine that accelerates from 0-60mph in just 5.1 seconds. The 2018 Alfa Romeo Giulia is among the luxury cars that are equipped with the cutting-edge technological features that offer the occupants an enjoyable journey. It is fitted with 6.5-inches color windscreen that features HD radio, MP3 format capability, Bluetooth streaming audio, Apple Car Play and Android Auto. It is also equipped with three USB outlets, 12-Volt power outlet, and 8-Speaker Audio System. The price of the 2018 Alfa Romeo Giulia Base in the UAE starts from AED 140,000. The price of the 2018 Alfa Romeo Giulia Super in the UAE starts from AED 170,000. The price of the 2018 Alfa Romeo Giulia Veloce in the UAE starts from AED 190,000. The 2018 Alfa Romeo Giulia is one of the luxury cars that deliver an amazing performance due to its V4 engine and it is has a magnificent design that glorifies the reputation of the luxury brand. It is an excellent option for car buyers who remain in the pursuit of something really special offered by a renowned luxury car brand like Alfa Romeo.